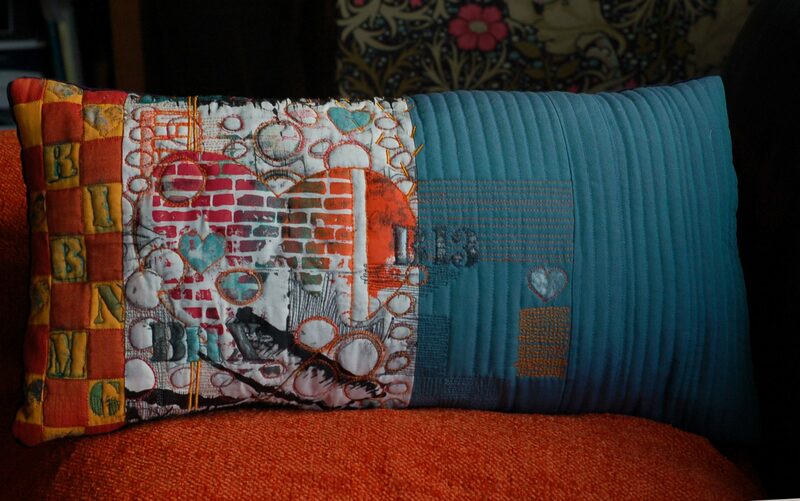 I'm calling this the Love Your Postcode cushion. It's got my post code plus inspiration from the Birmingham Selfridges building plus the encasutic tiles we have in our houses round here. It was a bit of a fail as a screenprint but adding the stitching/fabric paint/Markal helped matters. I think I threw the book (that's The Painted Quilt) at it! Really great to have so many very personal references in that unique design! What a fantastic piece of work, I love the colours and design, really beautiful. It has definitely got the wow factor.